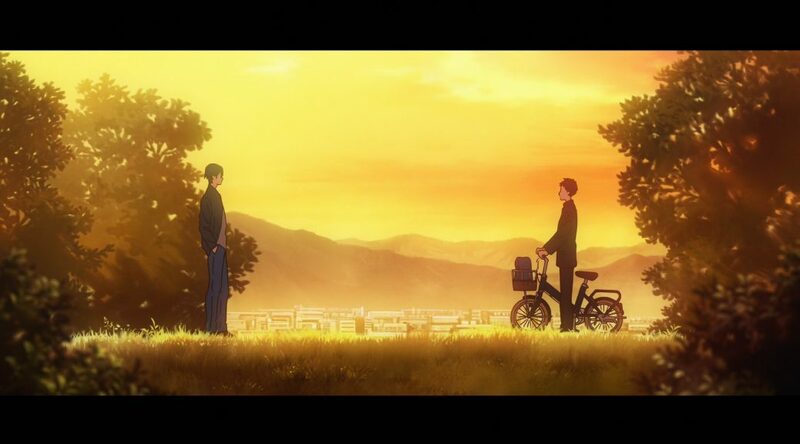 Tsurune‘s pleasant and surprisingly efficient first episode is yet another showcase of the importance of execution. An inspired directorial effort that makes no effort in hiding its inspirations and yet establishes an identity of its own, led by a team with more newcomers than you’d ever imagine. Who are they, and what should we expect? 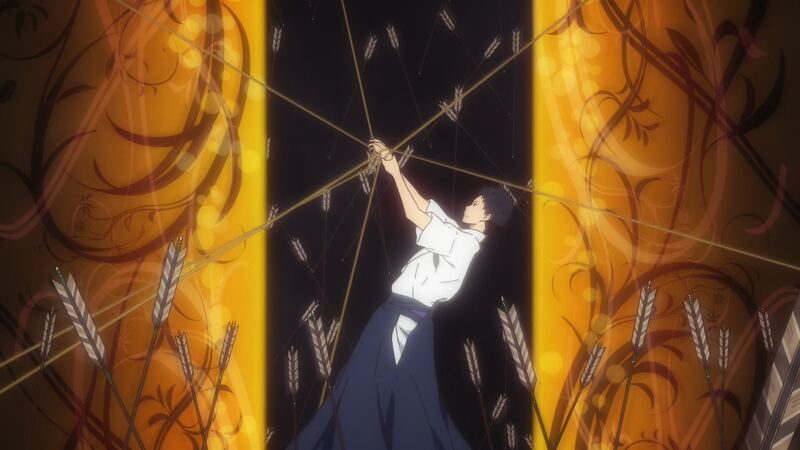 ─ Tsurune‘s so far demonstrating how much mileage you can get out of a charming cast and rock-solid execution. 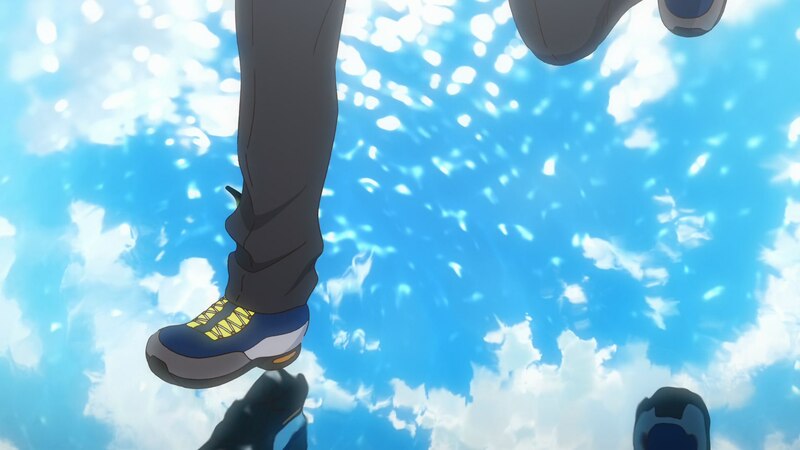 It’s not as if there’s anything inherently wrong about its bog-standard sports anime premise, but it’s aspects like the depiction of Minato’s bottled up feelings that immediately elevate him over other protagonists with emotional baggage from this genre space. And while the cast as a whole isn’t as outrageously diverse as something like Run with the Wind – another current sports title that rises above its otherwise typical set-up – everyone still manages to leave an impression throughout this very efficient premiere. 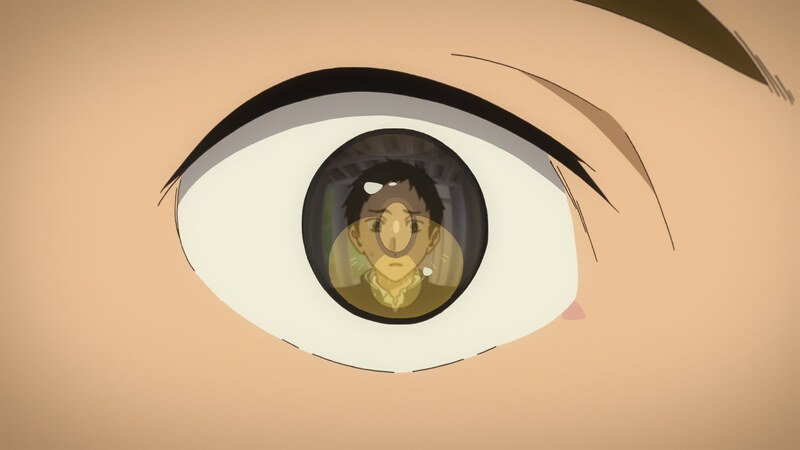 Series director Takuya Yamamura is only now making his debut, but he already seems to understand that you need at least hints of emotional complexity to hook viewers into material like this, hence why the episode is peppered with details like Minato subconsciously protecting his scar when distressed and Seiya sneaking in meaningful glances at his friend. Conflict that permeates daily life feels more believable and pushes us to want to know more. ─ Having clear ideas on that front is a good start, but knowing how to deliver them in stunning fashion is at least half the battle. And from a directorial standpoint, the episode feels like Yamamura’s inner debate about whether he loves mom or dad more, which he settles by claiming it’s himself whom he likes the most. The introduction scene, ripples of the past, shows almost undiluted Naoko Yamada mannerisms and proves just how much working under her for A Silent Voice affected him. From the acute synesthetic component to more technical quirks like the color aberration and certain framing choices, it all demonstrates he’s become quite good at replicating the appeal of a director who was one of his main advocates in the first place. The same could be said about the sequence where he releases his frustration, and yet it’s supervisor Yasuhiro Takemoto‘s presence that invades the episode throughout many shots; the opening is full of compositions straight out of his book, and there’s a very familiar flair to the rosy school life and the way characters are seen. 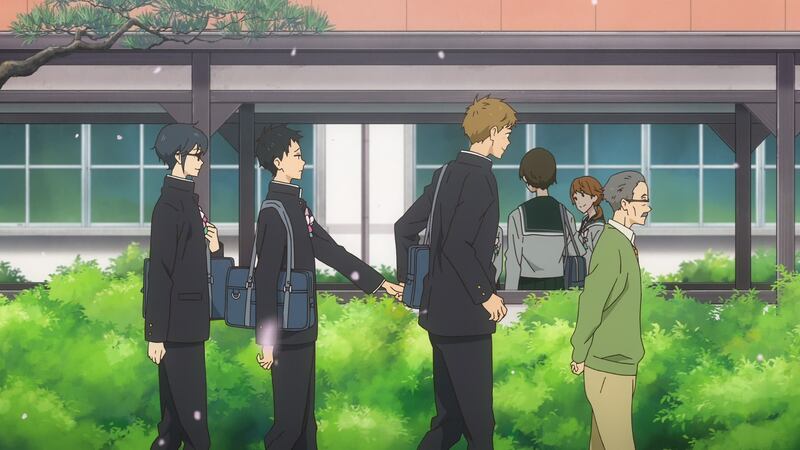 Two KyoAni schools are intertwined throughout. ─ New series directors retreating into their influences rather than boldly exposing their personality is far from uncommon though, and not really a reason to worry in this instance. Not only are Yamamura’s mentors among the absolute best in the first place, but he also was able to leave his own mark in the end. As a whole his storyboard is quite well-threaded (I dig how he introduced recurring characters in the background and how he insinuated spatial depth via meetings), and many of the highlight sequences arrive precisely when he’s letting himself loose. As I mentioned previously, he simply can’t stop his hold back his fondness of dynamic 3D environments, which are released alongside the arrows to give extra oomph to those scenes. Yamamura is also quite an adept user of match cuts, as seen in this wonderful moment where he takes us back to past trauma and then returns the present using them – the first cut is standard enough, but using the rotating X to transition into the hand closing the locker as Minato tries to contain his feelings is nothing short of masterful. 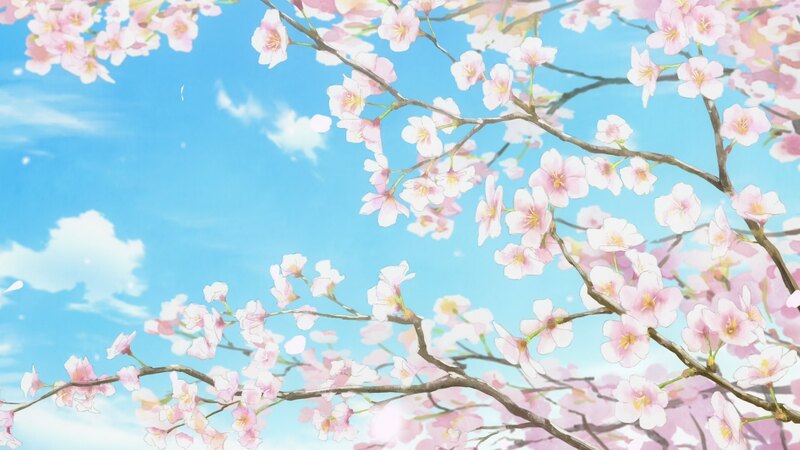 ─ Assisting Yamamura we find another newbie: director trainee Minoru Ota, whom we might see handling episodes on his own quite soon. Ota is a versatile artist who was bound to take an important spot at KyoAni’s Osaka branch. Over the last couple years we’ve seen him contributing prop designs for a world as intricate as Violet Evergarden‘s, designing characters for the company’s novel imprint, and providing lots of animation for all the company’s titles. Since directors have to supervise the work of many departments, people with this ability to adapt to different roles are always strong candidates to be promoted. It’s worth noting that after the decision to move up both Yamamura and Eisaku Kawanami to series direction, that branch of the studio actually had no one to focus on overseeing episodes, so this move was in many ways to be expected. It’ll be tricky to gauge how well he transitioned into this spot until he begins storyboarding regularly though, so for now all we can do is wait patiently. 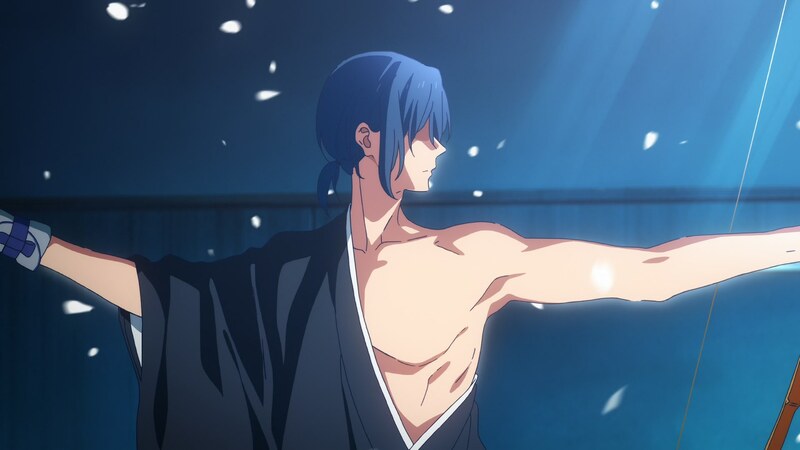 ─ It’s no wonder that this episode felt like a fresh start, since the theme of newcomers continues with yet another major promotion at KyoAni that directly impacted Tsurune‘s production. In this case I’m talking about Shouko Ochiai, who’s acting as sole art director for the first time – though she did share the role with veteran Naoki Hosokawa for the Baja’s Studio OVA released last year. Both works have a strong identity of their own, but especially now that we’ve gotten to see her leading a project by herself, it’s clear that she leans more towards a painterly style (despite the obvious digital brushes) than she does towards photorealism, which fits Tsurune‘s degree of stylization. Although the scenery is not quite as stunning as in the studio’s strongest titles, so far it feels like quite the inspired effort for a newcomer: a distinct sense of time and place to each backdrop, and general coziness to its world. ─ While Yamamura doesn’t seem as attentive to the lighting on a per-scene basis as some of his methodical peers are, the show makes up for that in spades with very evocative color and art regulation that embodies the mood, even for moments as demanding as the otherworldly final meeting between Minato and Masa. That’s of course thanks to Ochiai and her team, but also the coloring department led for the first time by Azumi Hata; not only is she making a grand debut as a new color designer at the studio, she’s also making her first anime appearance with her new surname after getting married. Nothing but first times in this episode! ─ Chances are that this trend will carry over the series as a whole, with even more promotions in particularly important positions. The timing seems right for new animation directors to surface, as it’s been a couple of years since Akiko Takase (co-supervisor for the next episode of Tsurune) got promoted already. Since she was a bit of a special case who’s already acting as designer and chief supervisor and some veteran animation directors have recently stepped down to focus on other tasks, it’d make sense for newcomers to start moving up – as long as someone manages to pass the exam required, that is. 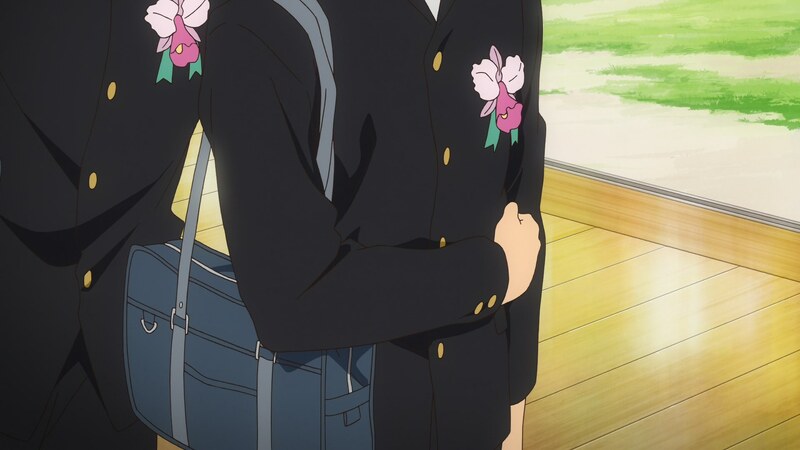 New voices joining the pool of key staff is a positive event in and of itself since it adds variety to the studio’s repertoire, and in that regard I’d like to return to Ochiai briefly because she’s an interesting figure. 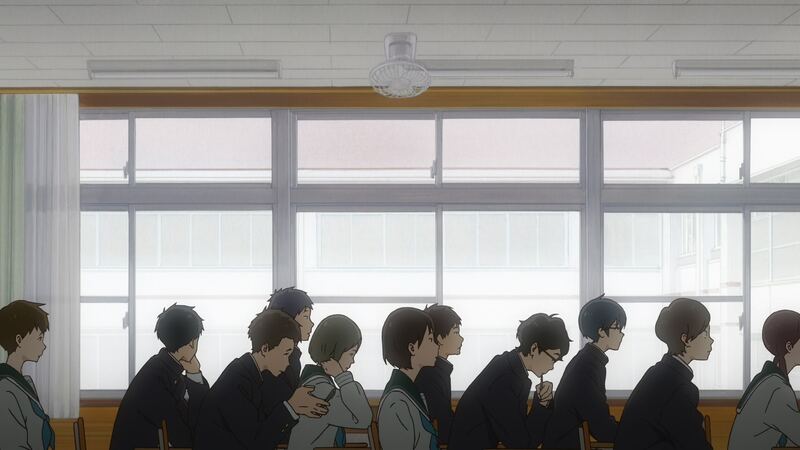 Since KyoAni’s entire ethos revolves around training youngsters and fully in-house production, the vast majority of their staff have no experience elsewhere in the anime industry, but Tsurune‘s new art director actually squeezed in about 6 years at background art studio Bamboo before joining the Kyoto crew. It’s not as if staying at a frankly middle of the road company was an enlightening experience for her, but accepting outsider experience every now and then enriches the studio’s works too. ─ There are many other aspects regarding this production we’ll have to dig into eventually, such as animation specifics and the attitude the staff have taken towards the depiction of Japanese archery, but for this first post it felt important to highlight just how much of a staff renewal this project represents. Even on a producer level everything’s changing, as the studio promoted assistant producer Takashima rather than entrusting Risa Sakai as was expected – which incidentally means she’s free to handle something else, perhaps Takemoto-related as her works have been in the last few years. But no matter what the established figured and veterans are planning, the newcomers are already here to do their thing. We’ll see how they fare in their first adventure. BONES’ 20th Anniversary – What Lies in the Future? Can’t wait for production notes on the next few episodes. I hope this gets completed. 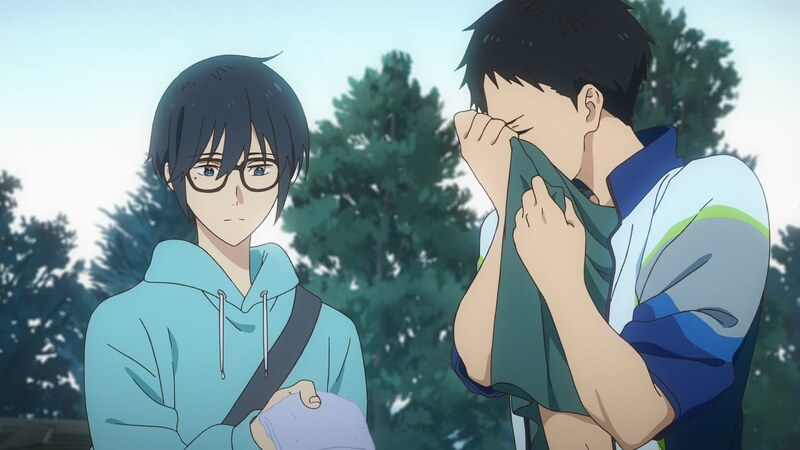 Did you drop your Tsurune coverage? Nope, Tsurune and Gridman will most likely be getting a new batch of notes after their next episodes. 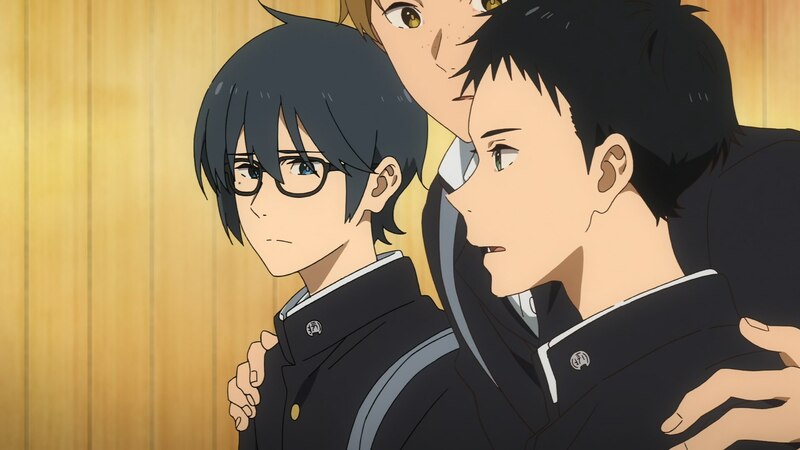 I just hope Tsurune doesn’t get dropped like Violet Evergarden.